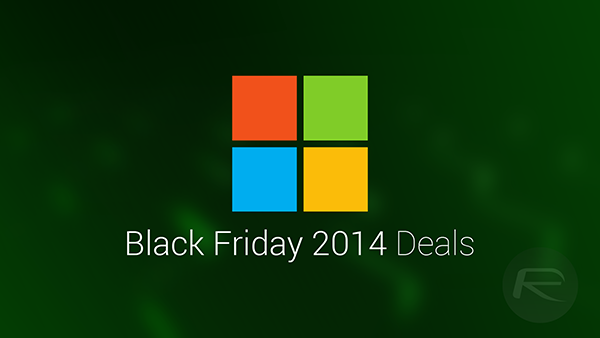 If you’re looking to keep track of all the best deals this Black Friday, we’ve got your back here. In a continuation of our coverage on the numerous deals being offered in the world of tech during the course of the next few days, below you’ll find a list of the very best deals pertaining to Microsoft and its product line-up. 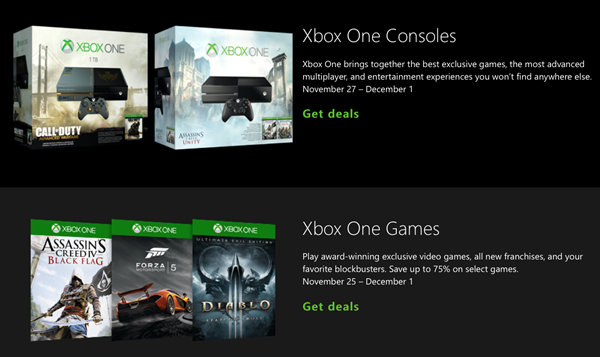 From Surface tablets to Xbox consoles, there’s something for everyone, and with next month’s holiday season in mind, now would be a very good time to go ahead and make the purchase. We’ll start our round-up with the Surface deals. Microsoft’s slate has clearly struggled against the likes of the Apple iPad, but with the latest and greatest Surface Pro 3 having yielded much critical acclaim, the Windows maker looks finally to be getting it right. Thanksgiving, Black Friday and even Cyber Monday are bound to spawn further deals during the next few days, and while keeping track of them is tricky given that the entire Web is waiting to pounce on the offers before stock has sold out, we pledge to do our very best to ensure that you, our awesome readers, don’t miss out on the good stuff. 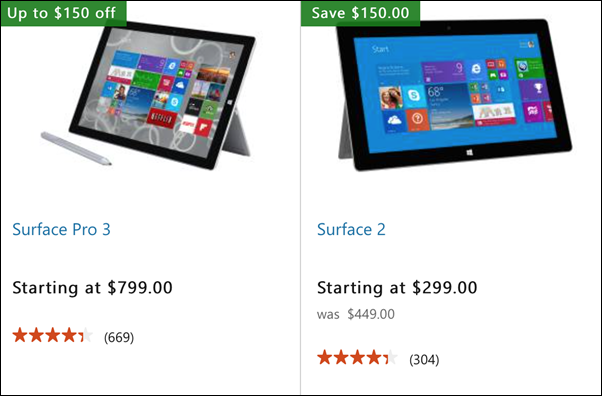 In the meantime, those looking for a tablet/ notebook hybrid, which the Surface range purports to be, then you can save yourself 100-150 bucks by heading over to Microsoft’s special Black Friday deals page at microsoftstore.com.